WASHINGTON — In an unsurprising move, the U.S. Senate continues to push for immigration reform and their bill. The House Republicans have said they will not consider the immigration bill because it does not guarantee border security, which the Democrat-dominated Senate is opposed to. Reuters reports that the Senate approved a $46 billion plan to increase federal law enforcement efforts on the U.S.-Mexico border. 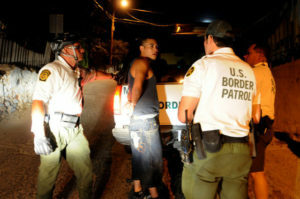 The approved budget doubles the number of U.S. patrol agents along the border, supposedly puts forward a plan to build 700 miles of fence for the 1,954 miles of the U.S.-Mexico border, and to buy high-tech equipment to monitor the border. This “border-security” amendment passed with a vote of 69-29, meaning that all Democrats voted for it and 15 Republicans jumped ship to vote with the Democrats.